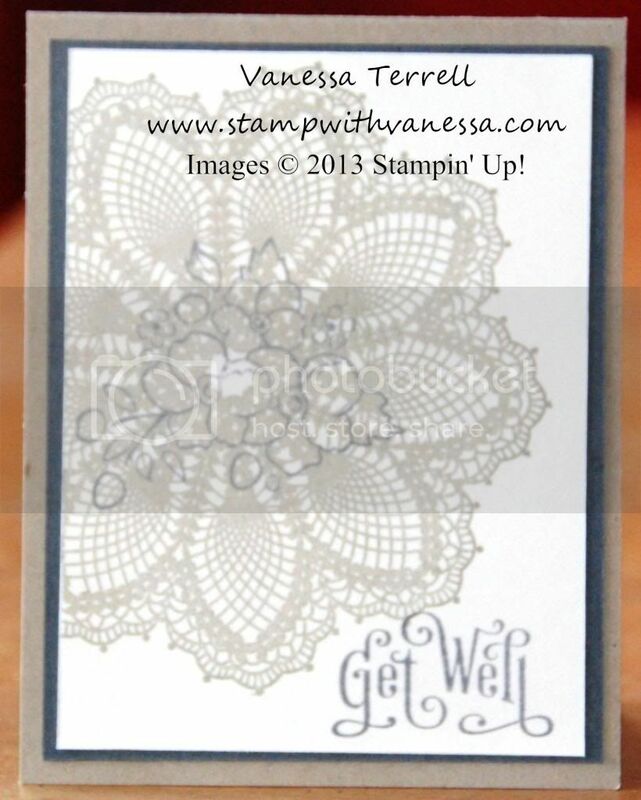 Today I created a Get Well card using the Hello Doily background stamp. 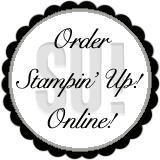 I'm still working on my stash of cards to have on hand when I need them. I also realized that I haven't used this stamp in some time. So I blew off the dust and when to work! I used a bunch of the neutral color family to create this card and I'm happy with the final result! I also used the Bordering on Romance stamp set and Perfectly Penned. Here's my card!